The Tibetan Women’s Association [i] is pleased to learn that an experts team representing ‘United Nations Working Group on Discrimination against Women in Law and in Practice’ will undertake its first visit to the People’s Republic of China [ii] from 12 to 19 December 2013, to appraise the progress made towards achieving gender equality and the protection and promotion of women’s human rights. TWA also takes note of that commitment made by Ms. Francas Raday, chair of the Working Group, towards assessing the legislative reforms and policies that have been implemented by the Government of China to promote women’s rights and gender equality. In addition to the expert groups’ area of focus- women’s economic and social life, achievements and good practices to eliminate discrimination against women and also obstacles to their empowerment, TWA urges the team to pay special attention to the status of Tibetan Women inside Tibet. 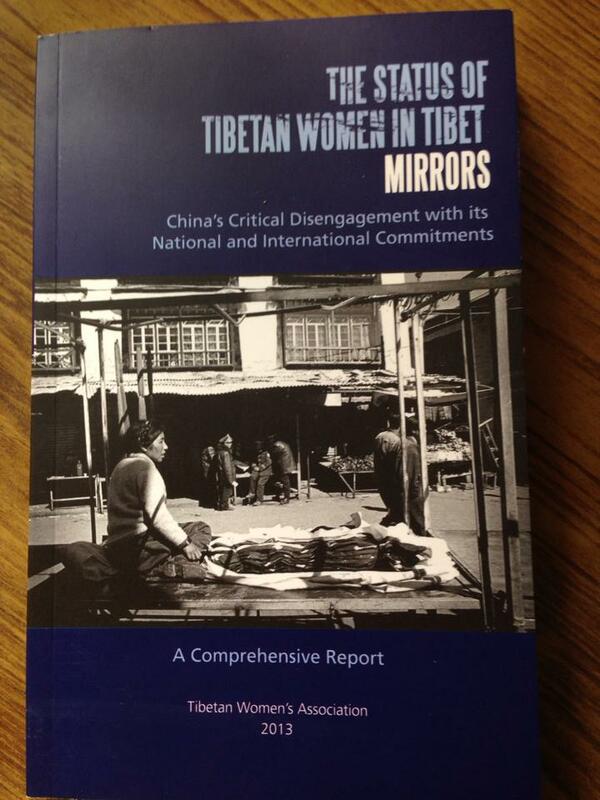 A research report published by TWA titled ‘The Status of Tibetan Women inside Tibet Mirrors China’s Critical Disengagement with its International and National Commitments-2013’ launched today in Dharamsala on the occasion of World Human Rights Day, covers the status of women in the fields of Education, Employment, Prostitution, Healthcare, Family-Planning Policy, Justice, Torture, Religious Freedom, Political Freedom and Employment. The report has made 15 recommendations[iii] for the Chinese Government and the United Nations. Whilst it calls for international intervention to address the status of women in Tibet, it sense the need for adequate reforms to ameliorate the living standards of women in Tibet and significantly to keep China a strict adherent of its national and international commitments. TWA also would like to reiterate that much is expected from this visit as it is the first Special Procedures visit since the Special Rapporteur on the Right to Food Olivier De Schutter went in December 2010. TWA urges the Working Group to pay attention to the recommendations enclosed with this letter. TWA will closely follow the delegation’s preliminary findings which will be delivered via a press conference scheduled to be held on 19 December 2013 in Beijing. TWA also anticipates a veracious account and a substantial report with conclusions and recommendations which the team will present to the 26th session of the UN Human Rights Council in June 2014. [i] Largest Tibetan Women’s Organization based in Dharamsala, Exile India, with a global network of 16000 women members. [ii] The team is scheduled to visit Beijing and Shanghai in addition to Kunming and the Xishuangbanna Dai Autonomous Prefecture, both in the Yunnan Province. Abide by its national and international commitments in the field of human rights, education, employment, health, freedom of expression and environment. Modify the education policy of the PRC, to take into greater account Tibetan language and cultural particularities. Engage in a combat against human trafficking, in pursuance of the PRC’s legal commitments. Implement the principles of gender equality so that Tibetan women are given alternatives for earning a living. Provide greater transparency in terms of public health–transparency that will bring an end to censorship regarding information on public health of Tibetans. End discrimination in the health field towards all Tibetans, including Tibetan women and children. End socio-economic and political pressures that force women to undergo abortion and sterilization. Implement in concrete terms the mechanisms of complaint and enforcement guaranteed by the Chinese constitution. Ensure and respect the rights of people living in territories controlled by China for access to a fair and transparent judicial system. Include in its legislation a definition of torture that incorporates mental torture and cruel, inhumane and degrading treatment, thus conforming to the United Nations Convention against Torture. Authorize visits to Chinese prisons by independent control organizations, and for these visits to take place freely, without intimidation or censorship by the authorities. 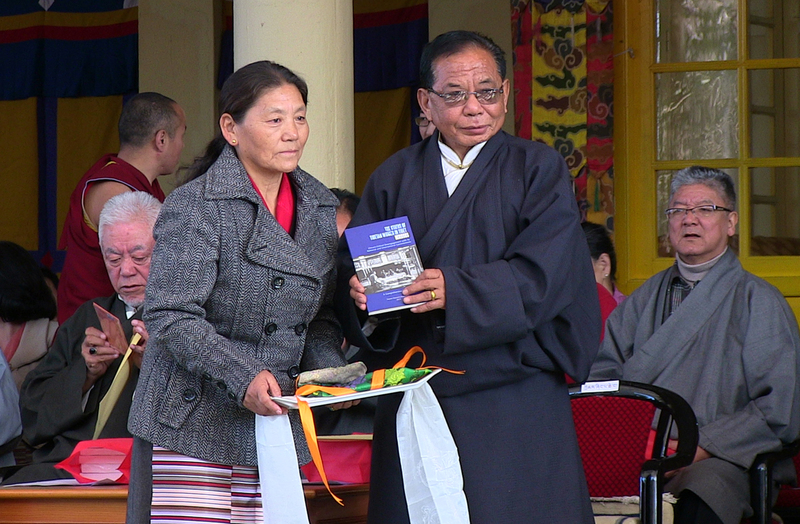 Release Gedhun Choekyi Nyima, Tibet’s Panchen Lama and allow him to freely fulfill his religious vocation. Abolish its patriotic re-education campaign, as its elements qualify as inhumane and degrading treatment, if not torture. Secure and protect Tibet’s fragile environment and respect Tibetan stewardship. React to the Chinese Government’s failure to abide by its national and international commitments. Ensure that the Chinese Government doesn’t not make a mockery of the UN and International Conventions, which protect human rights and human dignity. Pressure China to heed to the 14 recommendations placed by TWA in this publication.